Among a few other things, there’s one thing that bugs me about the holiday season. All the hustle and bustle, trying to make it from one party to the next, and trying to get all the gifts gathered for everyone on your list. Sometimes we start to forget about some of the most important parts of our lives. I don’t know about you, but in our household, date night is important. Without it, well, we start to get a little moody towards one-another. But with the holiday season, it can truly be hard to get a sitter and even find the time to leave your kiddos and get out of the house for a few hours. Because of this, I am a firm believer in date-nights-in. Get the kiddo to bed early. Pop a bottle of something special. And make a simple little dessert you can enjoy together. When Kroger asked me to pair an Applebees gift card with something to make it a little more special, I knew exactly where this was headed. A simple but delicious dessert. Think about this. 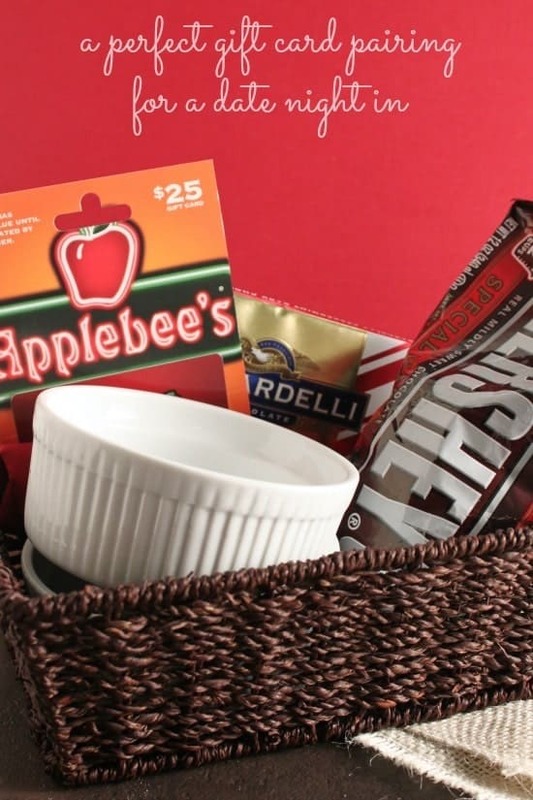 You take the kiddos to Applebees with your gift card (because again, getting a sitter can be difficult sometimes). They’re entertained. They’re fed. They’re having fun. Date night is already off to a great start. Get home, get the kiddos to bed, and set out to make a romantic, but festive, holiday dessert just for the two of you. I just love baking with my wife. We’re working together. We’re bumping into each other in the kitchen. We’re talking and laughing. 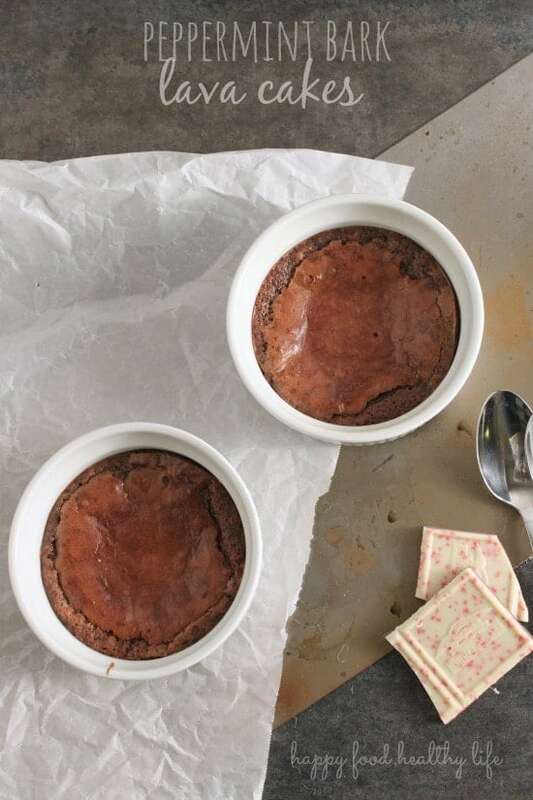 Peppermint Molten Lava Cakes in individual ramekin dishes are just the best things ever, and they’re so simple to make (which is good, because date night can become a little distracting at times!). Just a few ingredients, and barely any time at all, and you are well on your way to a dessert that is bound to bring you and your honey closer together. I just love gift baskets, and I would love to receive a pairing like this one. And I love that I can get it all from my local Kroger store. Kroger offers an insanely huge variety of gift cards at all of their locations, so there is absolutely something for everyone. And with their food choices as well as home goods, you are sure to be able to make a special gift out of a gift card. Instead of feeling like a cop-out for choosing a gift card as a gift, add a few more items you picked up at Kroger, and you are equipped with a well-thought out gift for anyone in your life. Earlier this month, I paired a Subway card with a few other items for the health-nut in your life. You can check that out here. I hope this holiday season, you are able to find the time for those who matter the most in your life. Enjoy date nights, even if they’re in your own home. And give the gift of a date-night-in for a couple in your life who has a hard time getting away too! They will appreciate it more than you may even know. And be sure to visit your local Kroger or Smith’s store to check out all their gift cards this season, and all seasons, and be sure to pick up one or two items that will make it personal. Spray 2 ramekins with non-stick spray and place in a baking pan. 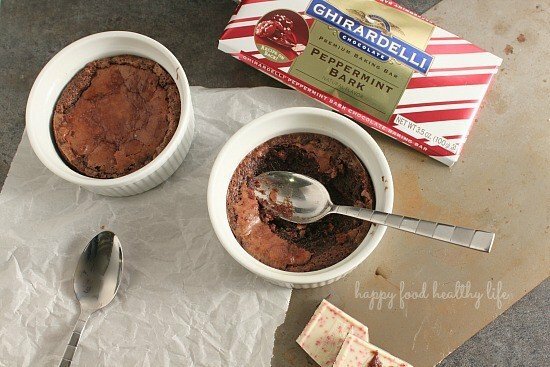 Melt chocolate chips, peppermint bark, and butter in a bowl above hot, simmering water. Once melted, let cool slightly. In another bowl, whisk together the egg, sugar and flour. Stir in cooled chocolate mixture. Bake for 18-22 minutes. The tops should be slightly cracked and the chocolate underneath should remain somewhat gooey. Remove from oven, cool just slightly, and serve. I was compensated by Kroger to create this post for you, but as always, my opinions and thoughts are 100% my own. Yep, I need this, who has time for dates! I would happily stay home and devour this lava cake! Maybe my husbands too! Seriously Tanya – dating your spouse is hard work, that’s for sure! But I freaking love date nights, even if they’re date nights in…. 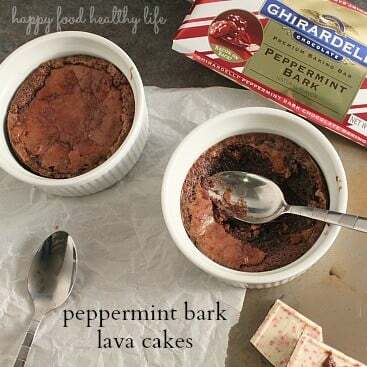 and especially when they include Lava Cake! !